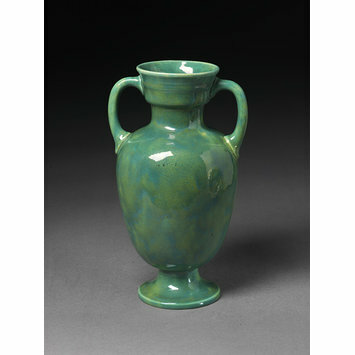 Vase of earthenware and covered with a mottled green glaze. 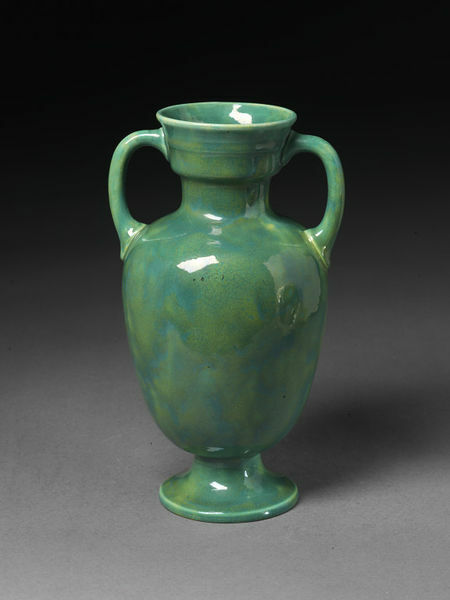 Ovoid body with an expanding neck, spreading foot and two loop handles. Vase of earthenware and covered with a mottled green glaze, Maw & Co., Benthall Works, Jackfield, 1871.